I liked this book. They have reviewed the management of 49 symptoms or syndromes that occur commonly in oncology and palliative care, including basic information regarding incidence, aetiology, signs and symptoms and general principles of treatment. Then, in each chapter there are three sections headed: (1) management of patients with years of life expectancy, (2) management of patients with months of life expectancy, and (3) management of patients with days to weeks of life expectancy. There is discussion of what should be done and what might not be done and why. This prognosis-based framework is so important in not causing patients with advanced disease extra pain, suffering and expense, although some of my oncologist colleagues still seem to be working on the ‘if it can be done, it should be done’ routine. This book should be available on the palliative care service and the oncology ward for quick reference. There are no rules about what should or should not be done, but looking something up will provide some guidance and the reasons behind it, to help you think it through. And it should be required reading for oncology trainees. 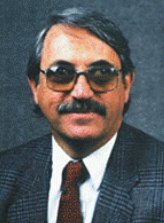 Dr. Howard Smith was the Medical Director of Palliative Medicine and the Academic Director of Pain Management in the Department of Anesthesiology at Albany Medical College in Albany, New York. From what is written, he sounds like a remarkable person and doctor, and was the father and driving force behind The Art and Science of Palliative Medicine. Sadly, he died in July 2013, a year before it was completed. The book is divided into four sections. 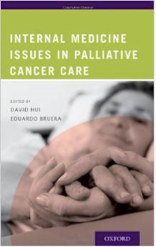 The first is about palliative medicine issues and has chapters on a selection of issues including ethics in pain management, advance care planning, nutrition and hydration, spirituality, family issues, grief and bereavement, and prognostication. The second covers a selection of palliative issues in medical conditions including neuro-oncology, cancer bone pain (which should probably be in the symptom control section), HIV/AIDS and end stage non-cancer diseases. I found the chapter on HIV/AIDS surprisingly up-beat, which I don’t believe is an accurate reflection of the global situation and it did not tell me, as a palliative care physician, what I needed to know if a patient with HIV/AIDS turned up on my ward, whether they were dying of AIDS or something else. And tucked between chapters on end stage liver disease and end stage pulmonary disease is a chapter on new therapies for aortic stenosis. I know that the new technique of transcatheter aortic valve replacement (TAVR) can provide excellent palliation of the patient’s symptoms because a woman under my care for something else recently had it done, but I felt a detailed review of the development of this procedure really didn’t belong here; a chapter on the management of end stage heart disease would have been more appropriate. The lack of anything about the management of end stage renal disease or advanced neuro-degenerative diseases was surprising. The third, which makes up the bulk of the book (358 pp), is about symptom management and this is undoubtedly the best part of the book. The fourth, is about palliative issues in particular populations and circumstances. There is a chapter about infants and children but not the very old. Some of the other chapters, e.g. bowel obstruction, pleural disease, might have been more logically placed in the symptom management section. I felt that a lot of the material in this book was of a good standard, but I had some difficulty with the organisation (some topics that should have been in the symptom management section were elsewhere), there were some notable omissions, and I thought all the psychosocial and spiritual issues deserved a separate section of their own. And for a book of this size, I did not think the absence of an index was acceptable. This book faces some elite competition in the marketplace, including Hanks et al. The Oxford Textbook of Palliative Medicine, Walsh et al. Palliative Medicine, Bruera et al. Textbook of Palliative Medicine, and Berger et al Principles and Practice of Palliative Care and Supportive Oncology, all of which are more encyclopaedic but more expensive. I do not know whether Dr. Smith’s intention was to produce a more concise, more affordable overview of palliative medicine. It will not have the detail of the other books, but it nevertheless must be well organised and the topic coverage must be complete. And, yes, it needs to have an index. Psychopharmacology and psychopharmacotherapy have become an increasingly important part of oncology and palliative care. This book, sponsored by the World Psychiatric Association and the International Psycho-Oncology Federation, aims to provide an up-to-date review of the subject. The book is divided into three sections. The first includes chapters on the role of psychotropic drugs in oncology and palliative care, the general and pharmokinetic principles of using them, diagnostic issues, psychological assessment, and the integration of psychotherapy and psychopharmacotherapy with all the other aspects of care. The second section is about the clinical use of psychotropic drugs in oncology and palliative care and there are chapters on anxiety, depression, somatoform disorders, delirium, psychotic disorders and other psychiatric problems. The last section deals with special situations (and the associated ethical issues) including psychiatric emergencies, treating children and the elderly, using terminal sedation, and sleep disorders. A major problem in psycho-oncology (seen from outside) relates to making psychiatric diagnoses in patients with other life-threatening illness. They have been talking about this for many years, but it appears they have not come up with a solution. This is discussed in the chapter on diagnostic issues and it is suggested that the Diagnostic Criteria for Psychosomatic Research may be more clinically applicable than DSM-5 or ICD-10 in patients with cancer. Then there is a slightly different view given in the chapter on depression. I looked for information as to whether the new DSM-5 was any better at categorising psychiatric disorders in patients with cancer (noting in particular the extremely broad new category of ‘Somatic Symptom Disorder’), but found none. When it comes to the drugs themselves, this book is good on the principles and there has been a genuine attempt to make it evidence-based and up to date. But I felt the detail was lacking and felt there was too much generalisation. If this book is written as an update for psycho-oncologists and liaison psychiatrists, then it’s probably a good weekend read. But they say it is meant to be a practical guide for the broad spectrum of health care professionals working in oncology and palliative care. I was prompted to look up Twycross and Wilcock’s Palliative Care Formulary PCF 4 (4th edition, 2011, www.palliativedrugs.com) where I found 110 pages on psychotropic medication that provided seemingly much more information, one drug or drug class at a time, and the information was presented in a much more accessible way with lots of lists and tables. Whilst the discussion of the psychiatry may be much better in Psychopharmacology, PCF provides the sort of detail about psychotropic drugs that we non-psychiatrists need in a practical guide that we might refer to on a daily basis to help us through the hazards of psychopharmacotherapy. In this volume are nine stories based on his experiences as an intern/resident. They cover a range of medical circumstances, including palliative care, giving bad news, the ethics and reality of cardiopulmonary resuscitation, and the management of a patient imminently dying of respiratory failure, amongst others. Of course, these are not about patients with whom Dr. Holt was involved, but the use of the first-person narrative clouds that a bit. I found the writing extraordinarily good and his evocation of character, place and circumstance (in many cases, read: chaos) made reading the stories enjoyable. But some of the medicine left a bit to be believed. The man who was an inpatient on the ward for a week or so whilst being investigated for cancer of the oesophagus—is it possible that no one noticed that he was so demented that he would not understand the diagnosis or its significance? And whilst Dr. Harper's somewhat pathetic performance as the resident on the palliative care service does not say anything bad about palliative care, it left me wanting to give him a good shake. But well written and enjoyable to read.